Frank Mirabelli, CEO, is pleased to announce the appointment of Dan Burns to the position of Regional Director, Central & Eastern Ontario, Canada. TORONTO, ON, Oct. 1, 2018 – Dan will work with our Corporate Team to expand and execute operational strategies throughout the GTA and Ottawa Area. His primary focus will be to lead and support our offices in servicing insurer-based business, broker-driven and private corporate client programs. In addition, Dan will play an integral part in our focus to expand our GTA network. “Dan adds significant strength and experience to our organization,” said Frank Mirabelli, CEO. Dan’s career spans over 20 years and he has held various positions within the insurance industry including Supervisor, Senior Account Manager, Manager of Computer Operations, Branch Manager as well as the Vice President of a national third-party administrator (TPA). Dan is a licensed all-lines adjuster with experience in all aspects of personal and commercial claims. He has developed strong operational experience through his tenure as the TPA lead responsible for operational performance, Key Performance Indicators with a focus on best in class customer service. “I am excited and energized to begin another phase in my career with First General. I am drawn to the company’s core values and business vision,” said Dan. 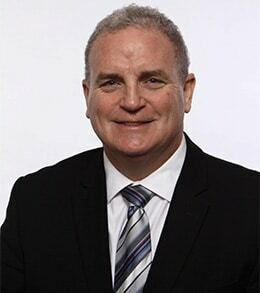 Dan’s education & achievements include Canadian Risk Management (CRM) Designation, Chartered Insurance Professional (CIP) Designation, Member – Ontario Independent Insurance Adjusters’ Association, Member – Canadian Independent Insurance Adjusters’ Association and Member – Insurance Institute of Ontario.